AHH! Photographers, I can’t believe that I am FINALLY typing these words to you! The Portrait Session Planning Guide Template is HERE and now officially available to you- a fully customizable InDesign template designed to deliver to your booked clients for their portrait session planning, created from a replica of my very own! That’s right, this is what I send to my own maternity and newborn session clients, and now you have access! One of the top struggles that I hear from other portrait photographers, whether at a workshop or in a one on one mentoring session with me, is client education- and how to do it well. From not knowing where to start, to what content to include, how to use the right words, or how to get this important information in the hands of their clients in a way that fits their brand experience. 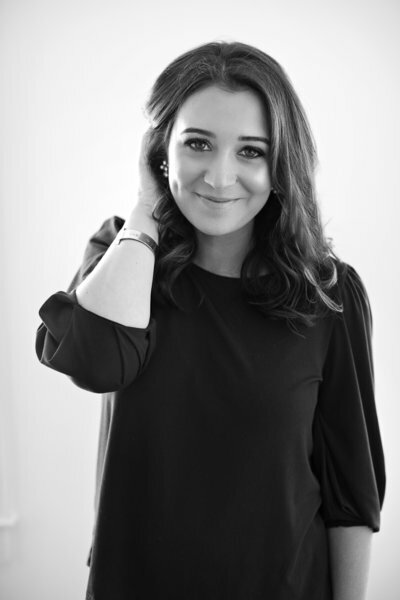 When I began educating my clients on light and location, wardrobe, the importance of hair and makeup, and what to expect in detail- it was a GAME CHANGER for how beautiful and smooth my portrait sessions started to be. It also paved the way for my portfolio to begin attracting more of my ideal clients, because I was finally able to show more of the work I wanted to book! 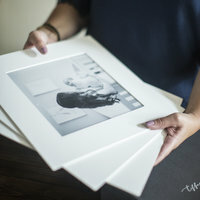 As a photographer who values the tangible client experience, when I began educating my clients about the printing, framing, and album options in great detail PRIOR to their session with me- my clients began to make confident and well informed decisions on the art for their home. From a creative standpoint, I began to experience deep fulfillment seeing these families hold their printed photographs, and from a business perspective, my sales began to nearly triple! I have never released anything like this before, and have been working hard for MONTHS to make it happen for you. This template is entirely customizable to fit your own brand and voice. Every font, color, background, border, image, and even page order & layout can be easily changed to represent your photography business. 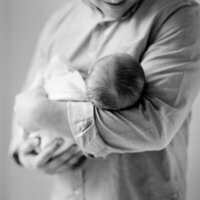 I work almost entirely with maternity and newborn session clients, therefore my included content resonates with mothers who are preparing for that kind of session. However as mentioned, the content can all be adjusted and tailored to the portrait session types that you book. The Portrait Session Planning Guide is a 62 Page InDesign Template. Pages 1-40 is a template replica of what Tiffany personally uses for her clients. Pages 41-62 include 9 spreads (19 pages) as additional spread options to further give you the ability to customize the guide to your own brand and design taste. A Two Page Quick Start User’s Guide PDF, with Tips on How to Begin, including private access to two exclusive 15 minute screen recording videos, where Tiffany personally overviews all the included content, as well as provides a basic introduction to how to begin customizing your template in InDesign. 3 spreads (6 pages) of Welcome and Introduction. This section includes my own written content on the first welcome page, followed by suggested sample written content for the next two spreads, designed to share your own details similar to an about page. 3 spreads (6 pages) of Frequently Asked Questions. This section includes my own written content on the topics of image delivery, professional hair & makeup, newborn session styling, and Digital Files. 5 spreads (10 pages) of Session Planning. This section includes my own written content that I use to help clients plan a session location, what I tell clients to bring for an on-location portrait session, my coveted tips for a successful and smooth session, what I tell clients to wear for a maternity session, what I tell clients to wear for a newborn session, and my resources for where to shop. 5 spreads (10 Pages) to share about the products you sell, such as prints, frames, albums, and digital files. My own introduction to this section and my layout is included. Inside and Outside Back Cover. 9 spreads (19 pages) for additional layouts that can be easily swapped in and out to make the template design more personal to your own brand. Most of the alternate layouts are provided with filler text, ready to be tailored with your own written content. I personally print my own guides through Blurb for less than $10 each. You could also send your customized copy via digital delivery, such as a PDF by email- but from my own experience, there is no comparison to going that extra step and printing copies for your clients. The Portrait Session Planning Guide Template is available for just $199- but ONLY UNTIL 1pm EST you can use the code “LAUNCHDAY” and get your copy for just $175! This offer will promptly expire at 1pm EST, no exceptions. You can learn more and purchase your guide HERE!